The Indo-Pakistani War of 1971 was sparked by the Bangladesh Liberation War. It began with air strikes on December 3, 1971. The following day, the Indian Navy launched a naval offensive operation on the port city of Karachi, Pakistan, where most of the Pakistan Navy fleet was based. The Operation Trident turned out successful and resulted in partial naval blockade on Pakistan and strategic Indian victory. It was the first use of anti-ship missiles in combat in the region and the first sinking of naval vessels in the region since WWII. December 4 was declared Navy Day to mark the successful operation and celebrate the country's naval forces. 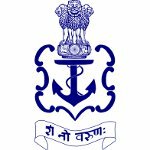 Indian Naval Day focuses on celebrating the role and achievements of the Indian Navy. It is widely celebrated with parades, military displays, naval band performances, wreath laying ceremonies at war memorials, official speeches etc. Although Navy Day is not a public holiday, it is observed with great pomp. The largest celebrations are held in the capital and numerous port cities.